Discus Trace, 4 L / 1 fl. Discus Trace™supplies a broad range of trace elements demonstrated to be necessary for proper fish health and growth. Unlike terrestrial animals, fish obtain nutrients from both their food and environment. Trace elements are normally depleted by utilization, oxidation and precipitation, thus it is important to restore them on a regular basis. 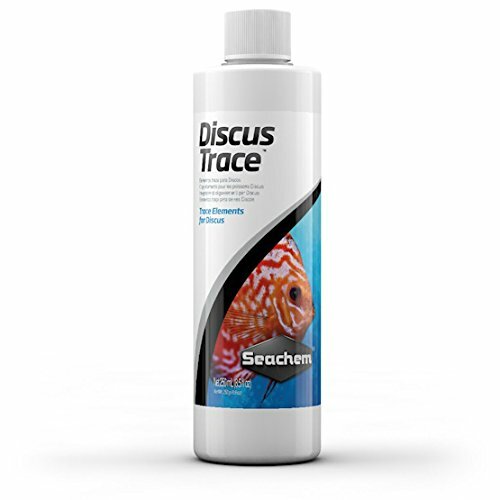 Discus Trace™ contains only those elements actually demonstrated to be required by fish. Aquarium salt is often used to add salts back to aquarium water. Some fish will tolerate this therapeutic use of salt; however, some fish are less tolerant. Discus as a species will not tolerate this elevated level of sodium in the water. If you keep live plants in your discus aquarium, the plants will not tolerate this either. Discus Trace™ is a well rounded trace mineral supplement that does not contain sodium and is used to replenish trace and ultra trace minerals that are demonstrated to be necessary for fish health and growth. "Discus Elements-T" mineral complex replenishes crucial minor and trace minerals lost to filtration and plants in Discus and other soft water habitats. It is also useful for other freshwater fish from harder water environments. It contains no heavy metals, phosphates, silicates, gluconates, or polygluconates. The Kent marine discus trace elements helps replace the biologically important trace minerals which are used by fish and plants and removed through filtration in discus aquaria. Discus essential helps provide color and vigor without use of any dangerous hormones, giving your fish great health. Contains no detrimental heavy metals, phosphates, nitrates, or silicates. Safe for your fish. Effective and easy to apply. Unique complex that provides trace and minor elements in ratios found to be beneficial to discus and other fishes that share the same waters of origin. Provides minor and trace elements utilized in important neurological and metabolic reactions, and which are incorporated into natural biopigments for coloration. 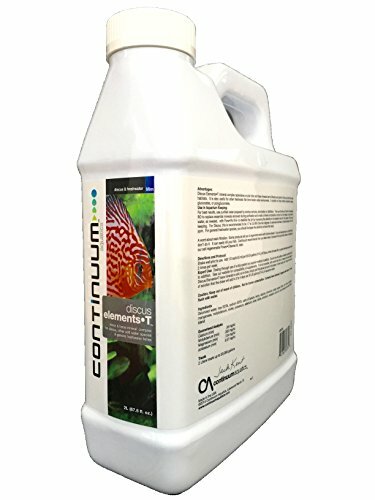 Replaces minor and trace elements used by aquarium inhabitants, and which are lost through chemical filtration (use of filtration media such as resins and activated carbon). Composed of purified water and ultra-high purity materials. Formulated utilizing extensive research on chemistry of the waters naturally-inhabited by discus, as well as discus trace and minor element requirements. For complete information, click the 'Technical' button at the top right. Description: - This is a red worms feeder for fish - It can free-floating, or attached to the side of the aquarium with the suction cup. 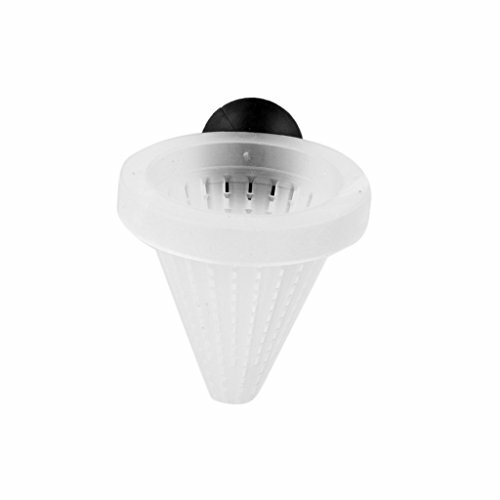 - Live Food funnel floating for Worm Blood Feeder - and solve for trouble eating of small food in the tank. - Protect Live Food spread to go to throughout in aquarium tank. - Heigth: Approx. 7cm/ 2.76inch - Top Diameter: 6.5cm/ 2.56inch - Materials: ABS - Color: ClearPackage includes:1 x Aquarium Red Worm FeederChoose all you need in our store. You will have a nice purchase experience and get quality products and service corresponding to the policy of Amazon. Discus Buffer® helps to replicate the ideal Discus environment (low pH & low GH (General Hardness)). Discus Buffer® will lower pH and keep it lowered. Discus Buffer® also softens water by precipitating calcium and magnesium. Use Discus Trace® to restore the proper level of trace elements and feed NutriDiet® Discus Flakes for thriving, healthy Discus. Neutral Regulator® and Discus Buffer® can be used in combination to achieve a desired pH when performing water changes or adding top off water. Looking for more Discus Trace Elements similar ideas? Try to explore these searches: Magnetic Number Set, Large Die, and Diamond Pave Ladies Ring. Look at latest related video about Discus Trace Elements. Shopwizion.com is the smartest way for online shopping: compare prices of leading online shops for best deals around the web. Don't miss TOP Discus Trace Elements deals, updated daily.